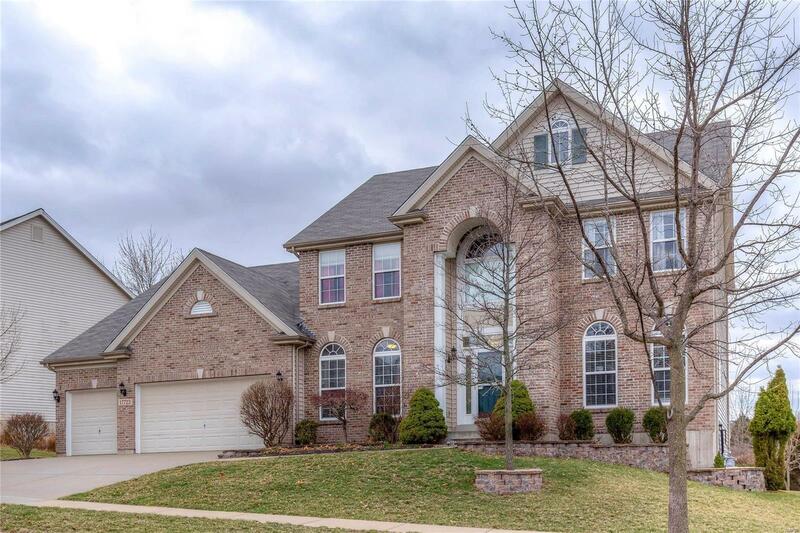 Welcome home to this SPACIOUS 1.5 story home backing to trees in a GREAT neighborhood! Enjoy cooking in the remodeled kitchen featuring custom cabinetry, beautiful recycled glass counters, tile back-splash, gas cook-top, instant hot water dispenser and center island. Relax in front of the wood burning fireplace in the comfortable great room with hardwood floor. Main floor master suite includes LARGE walk-in closet, separate tub/shower and vanity with double sinks. Custom built-in cabinetry in study/den. 3 bedrooms (ALL with sizable walk-in closets) and 2 bathrooms on upper floor PLUS HUGE bonus room. The custom finished lower level provides ample space with a recreation room, game/hobby/play room, wet bar with mini-fridge and microwave, 2 ADDITIONAL bedrooms AND full bath. New roof (Dec 2017). Newer windows. Zoned heating and a/c. Central vac, irrigation and security systems, 3 car garage. One of the largest homes in the neighborhood! Enjoy the view of trees and common ground in back! !